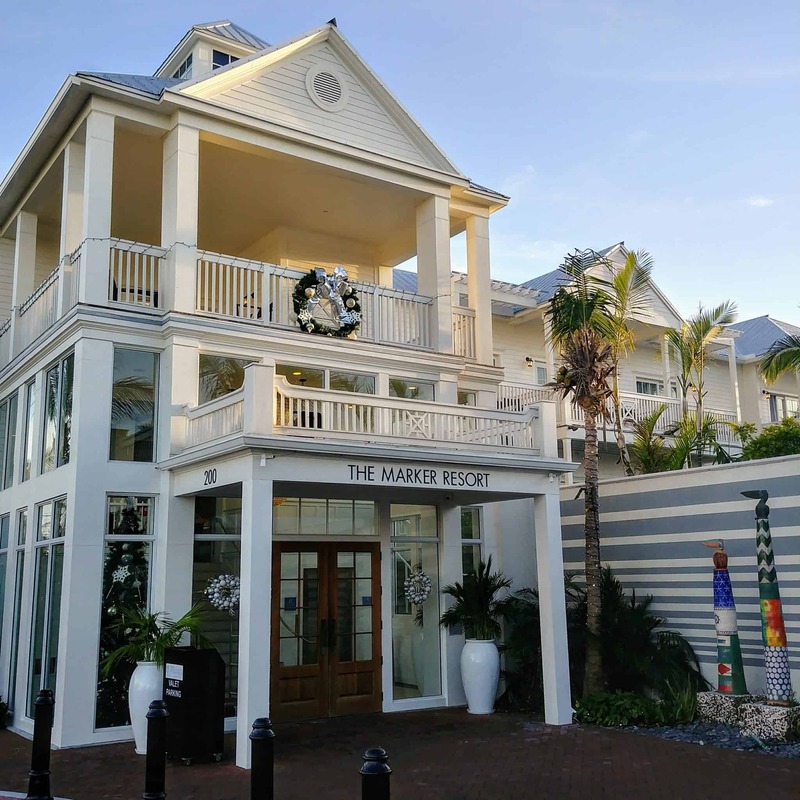 Having traveled to the Florida Keys many times, we were excited to stay in Old Town Key West this time at the fabulous The Marker Resort. 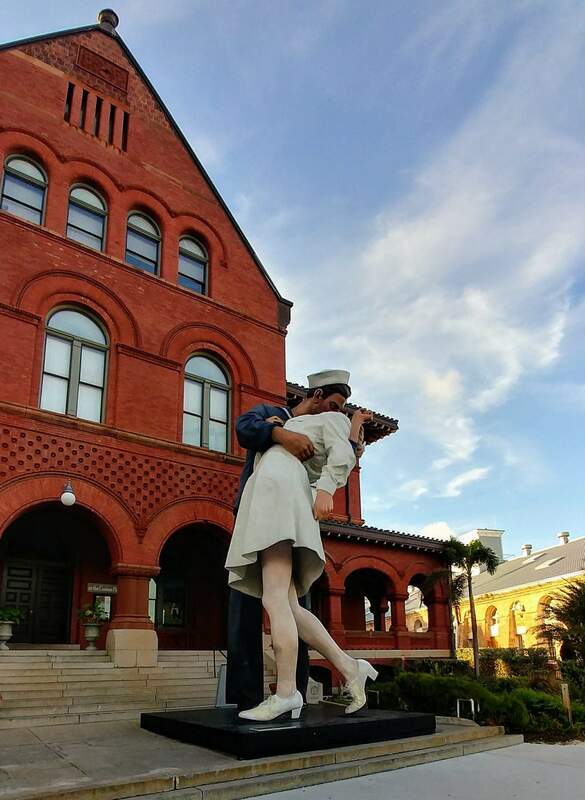 On previous visits, we had always decided to stay outside the old town for whatever reason but we knew from experience that staying in the heart of downtown Key West is where the action and fun, not to mention not having to drive and park. That is where the Marker Resort is the obvious choice for location. 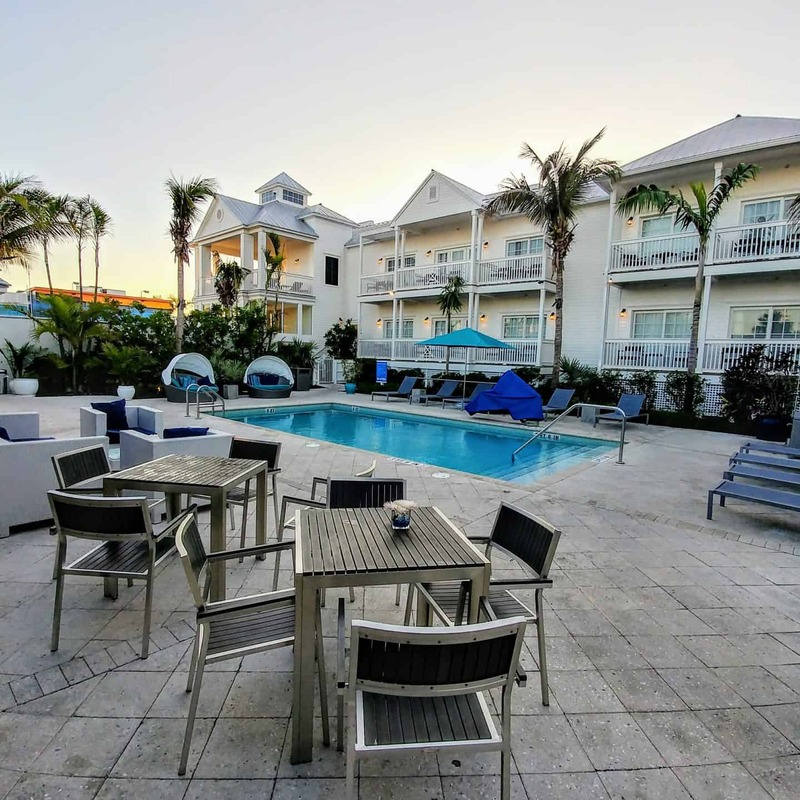 Nestled on the historic Key West waterfront, The Marker Waterfront Resort is the only newly built hotel in Old Town Key West in over 20 years. Named after the southernmost point in the US, which is within walking distance. Just a few blocks away are some of the most visited tourist attractions and finest restaurants. Checking into this hotel was friendly and effortless. 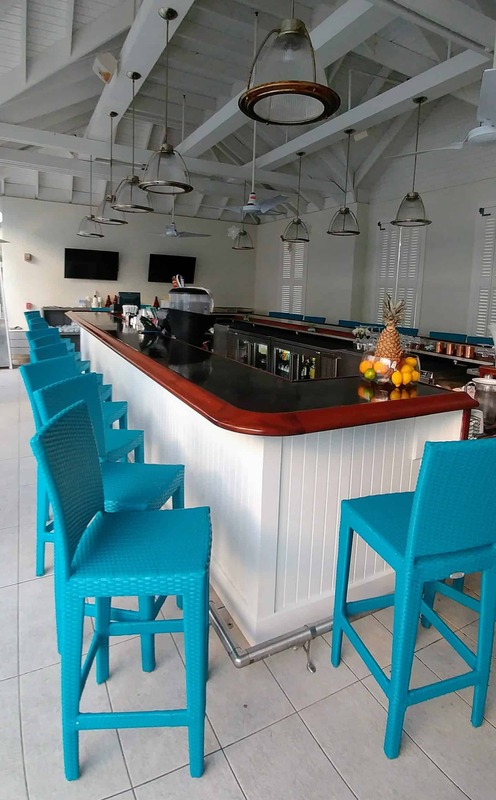 The hotel entrance and lobby are a blend of modern minimalist decor and classic old Keys design…. very peaceful and relaxing! 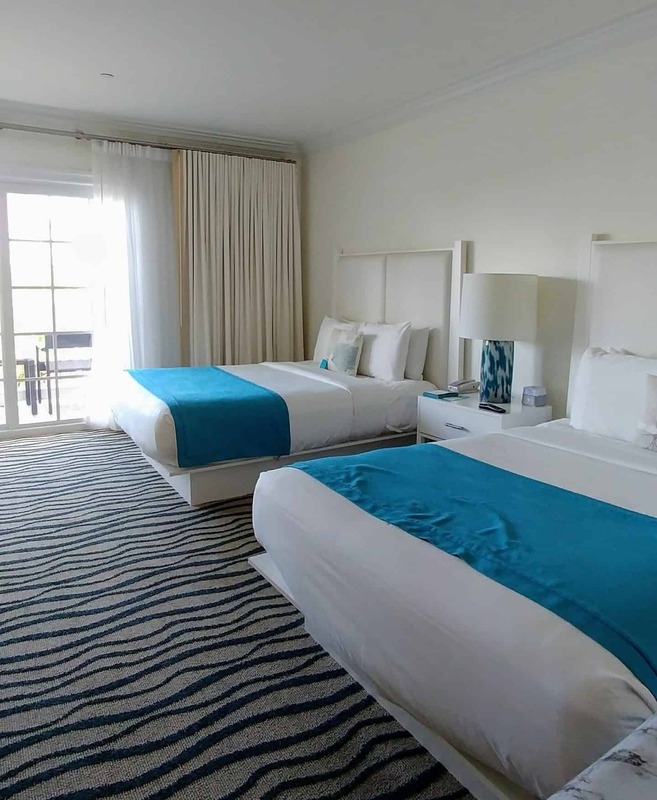 Our room was tastefully decorated with coastal blues and whites with every modern amenity. We were lucky enough to have a balcony overlooking the pool area which proved to be very convenient for enjoying coffee and drinks. This resort of 96 rooms boasts three beautiful pools, two side pools in the resorts lush private garden area and one adult only serenity pool. Of course next to both side pools is an absolutely stunning bar and cafe. We enjoyed breakfast by the pool at Cero Bodega restaurant. 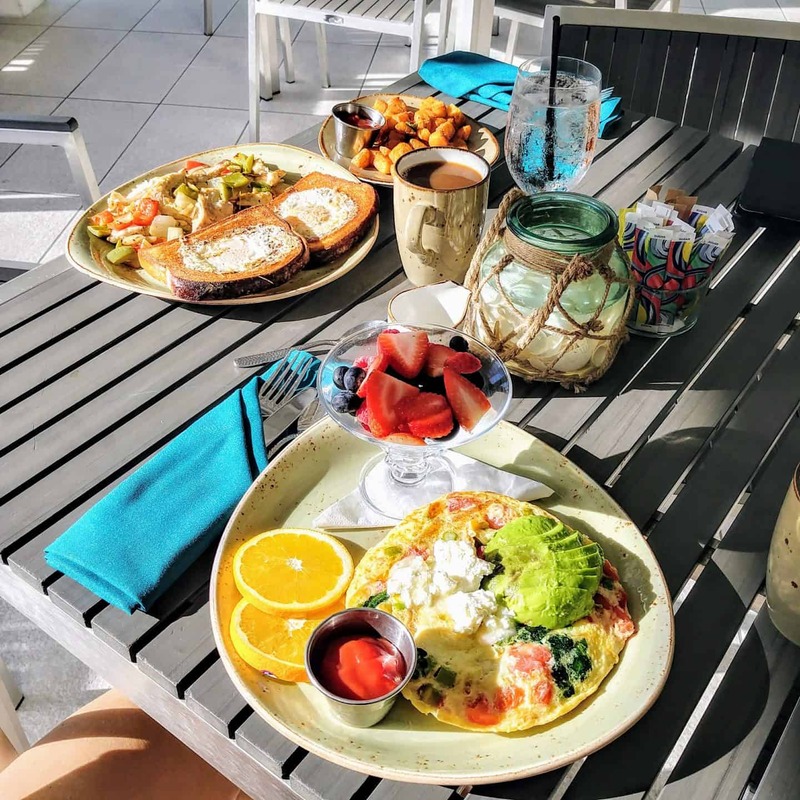 The breakfast menu offers many popular dishes and they also have an all-day menu offering some of the best Cal-Mex fusion dishes in Key West. All these activities are easily accessible just a moments walk from the hotel. Literally everything that Key West has to offer is at the Marker’s door step. Also within walking distance are some of the finest restaurants and best bars on the famous Duval Street. If you have never been, the entertaining nightlife on Duval Street is like nowhere else. You can’t leave Key West without trying their famous Key Lime Pie – it’s hard to stop at one slice. The great thing about the location of the Marker Resort is that most attractions are a short walk or bike ride away. We didn’t use our vehicle for our entire stay. 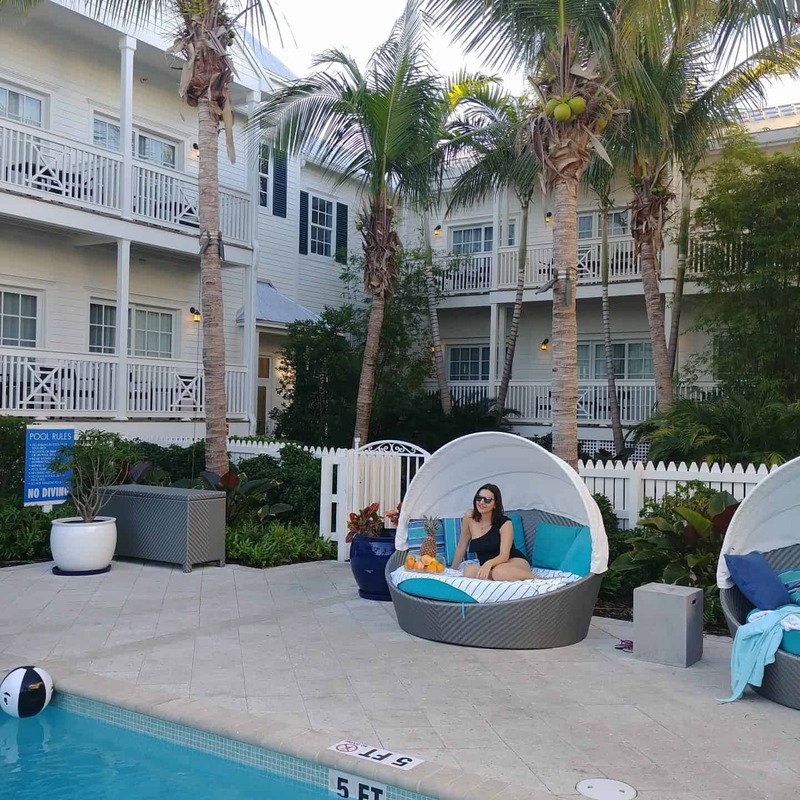 If you are planning a vacation to Key West the Marker Resort should be on the top of your list. 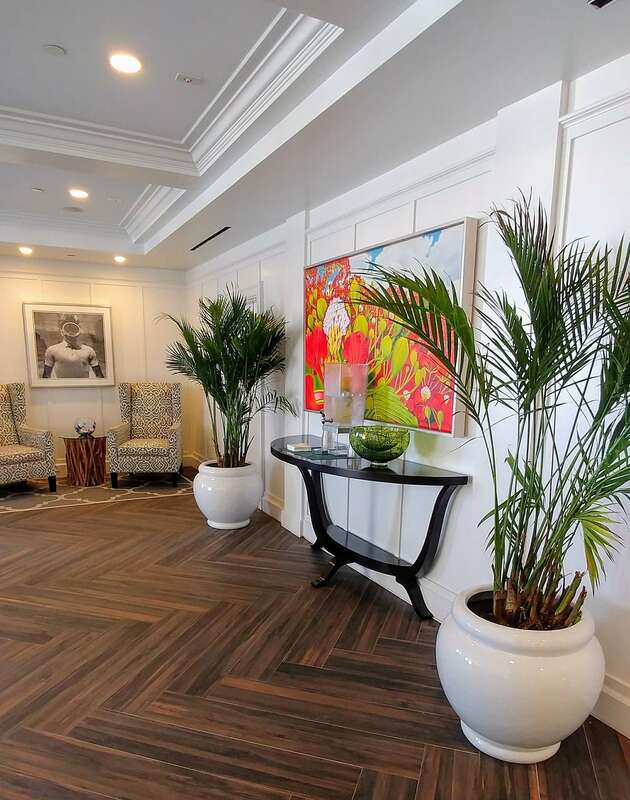 It’s perfect location, luxury accommodations and above all amazing hospitality is everything you will need to enjoy one of Florida’s incredible treasures. This post is written in partnership with The Marker Resort. As always, my opinions are my own. A huge thanks for a wonderful stay. Wow, staying at the Marker Resort would make me feel so high class. It looks like the perfect getaway to just treat yourself and relax by the beach. Beautiful! 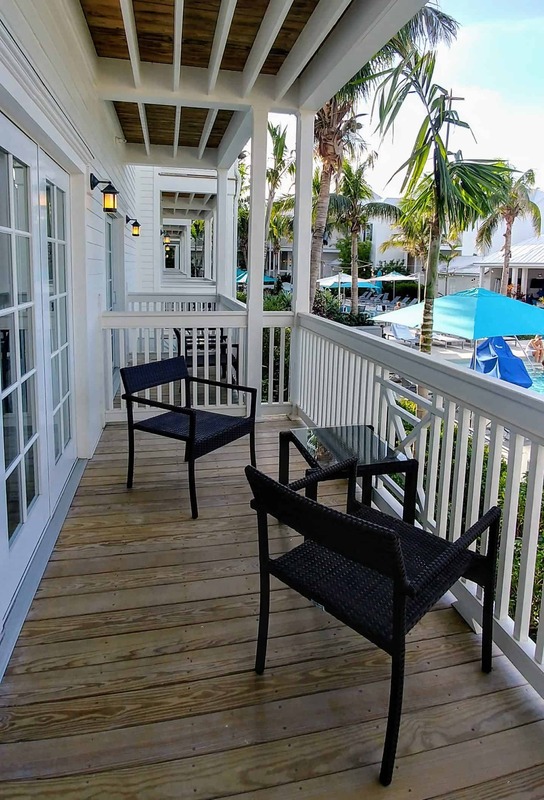 This looks like a great place to stay in Key West! Though I’ve been meaning to make a trip out there, but never found the time to. I would have to put it high on my bucket list for 2018 and add this place on that list as well! 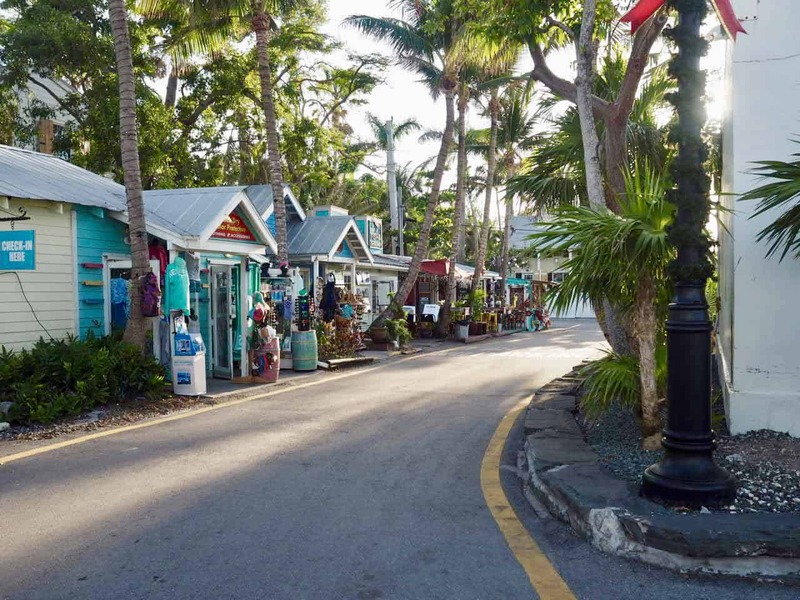 You need to visit Key West – we loved it. This looks like a gorgeous hotel! I especially like the blue chairs and napkins because I love bright pops of color like that. I’ll definitely have to check it out if I ever make it down to the Keys. Looks like The Marker Resort is a great place just for a rest and relaxation. And it’s just a walking distance to shops, beach, and other water activities. A dream getaway for the summer. It is located in the perfect location. Oh my gosh your pics are so stunning, I really want to go here now..excellent photography!! 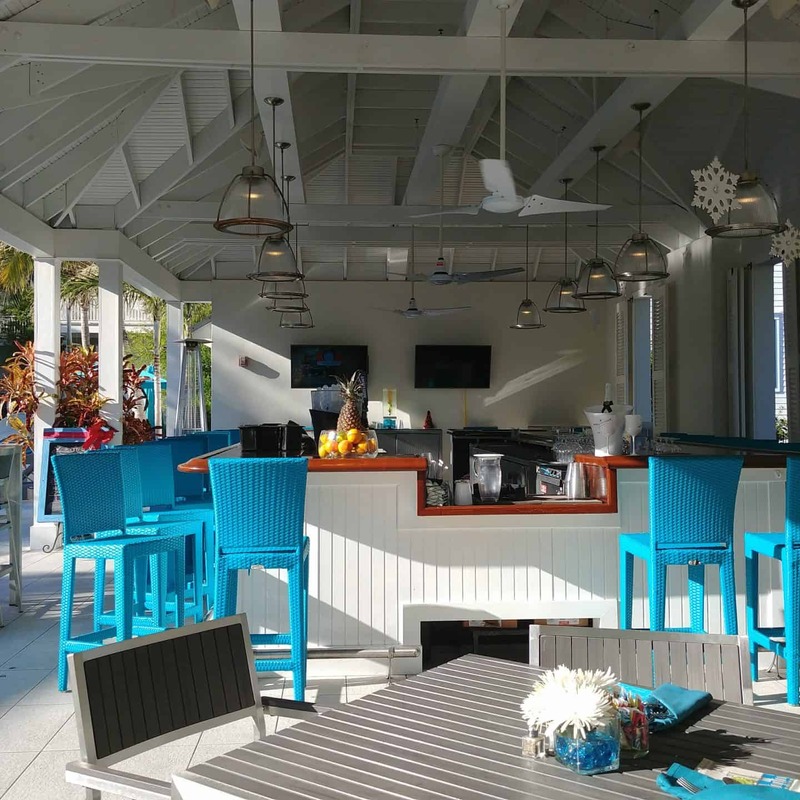 I haven’t been to Key West in about 20 years – this hotel looks awesome! I love that it’s right in old town and the center of everything, but you aren’t sacrificing amenities or quality of the hotel to stay there! WOW stunning photos! I will definitely stay here if I make it down there, simply beautiful! Thank you. The photos really don’t do it justice. Key West is magical and the hotel is stunning. Wow, such amazing photography!! 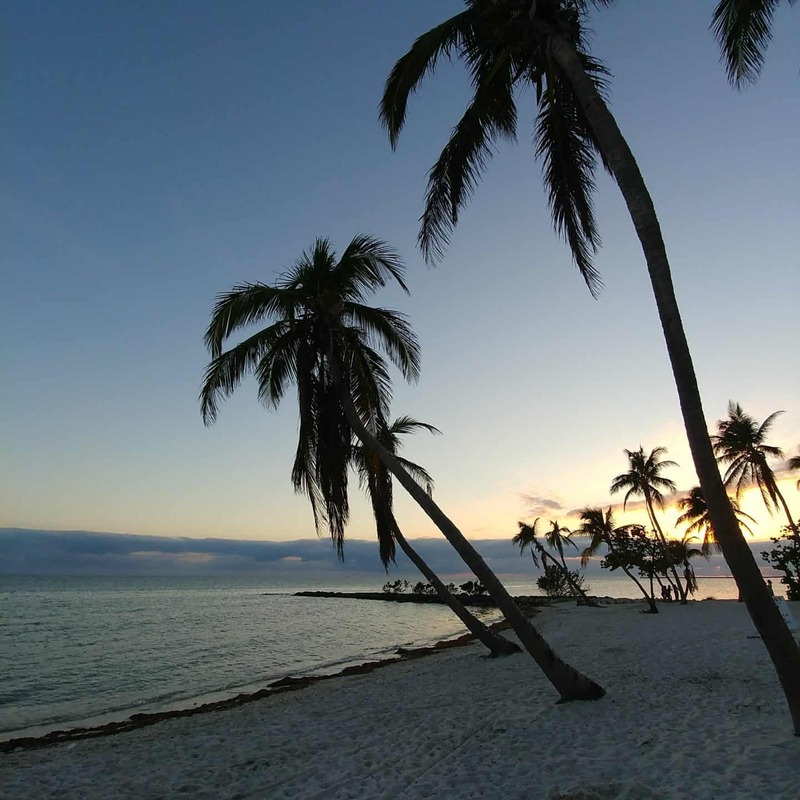 I’ve been to Key West once, years ago and these photos really took me back to a great time. Need to visit again soon! Thank you so much! I hope you get to go back soon. Your photos are stunning and this looks like a great place to stay while in the area. Love love love it. And girl, that one piece- just stunning! I believe I have stayed here, the name used to be different though. 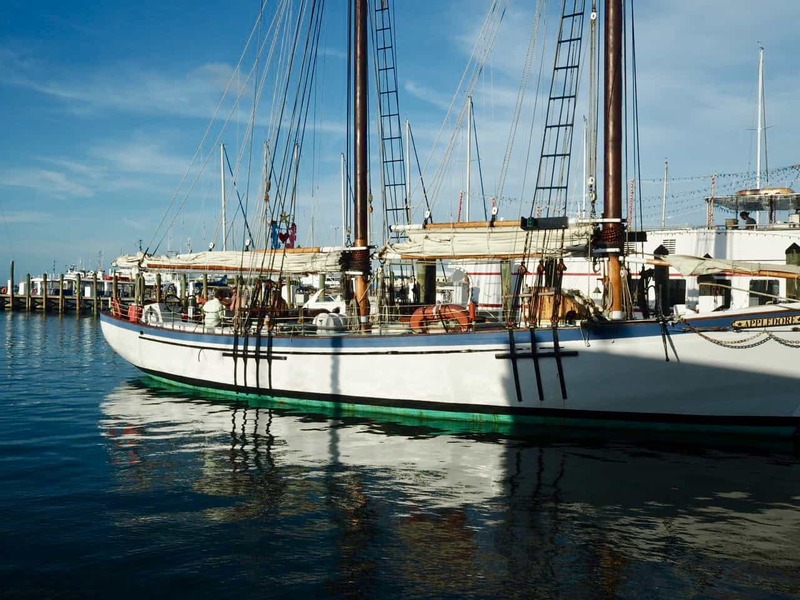 This is an amazing location in Key West. I am planning on going back in July.. I will need to check this place out. From the pictures it looks like the resort has been remodeled. Wow this location is stunning! The colours on a white backdrop…and that food. 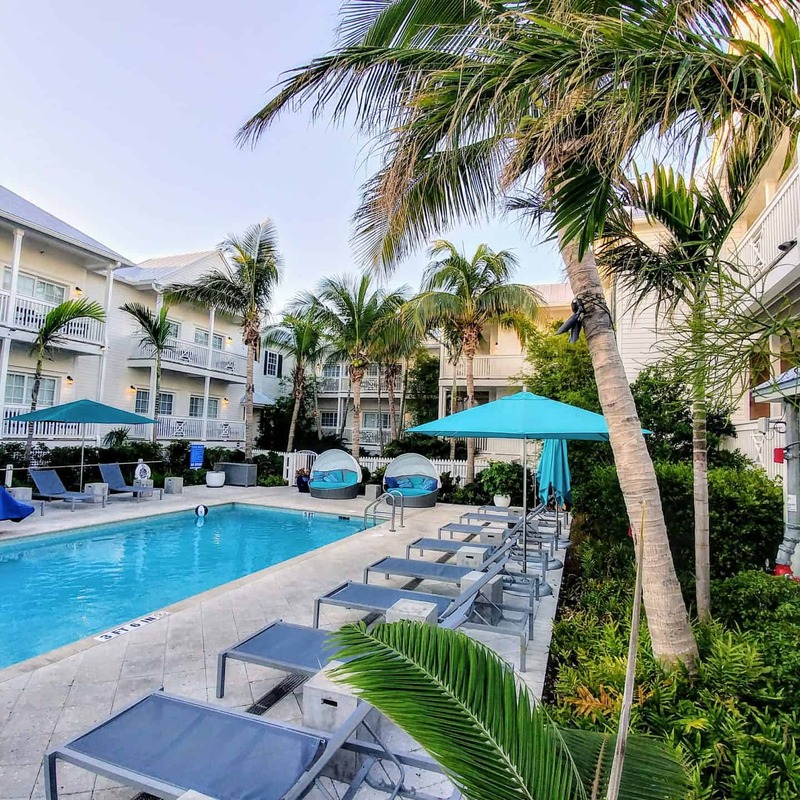 If you visit Key West, you will have to stay here! This is a gem in an awesome region. 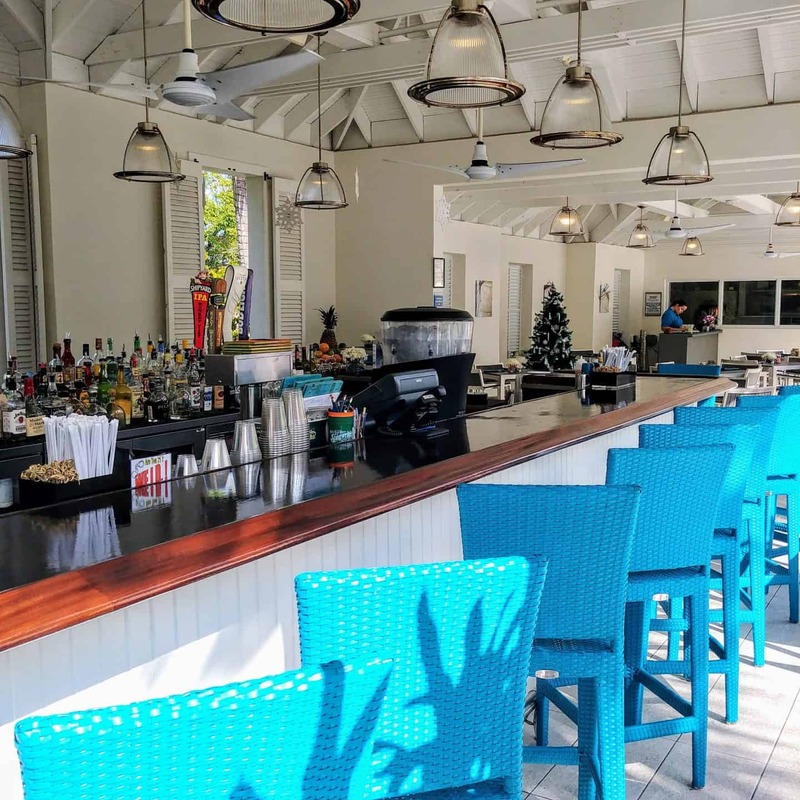 I have Key West on my places to see list and this seems like a fab spot for enjoying the place.